He was educated at Freed-Hardeman, Abilene Christian, Southern Methodist, Concordia Seminary, Princeton Seminary, and holds a Harvard Ph.D. — without completing high school. 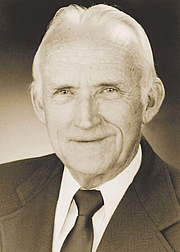 He was a lecturer, editor, and author among Churches of Christ and Christian Churches for more than 70 years. Leroy Garrett is currently considered a "single author." If one or more works are by a distinct, homonymous authors, go ahead and split the author. Leroy Garrett is composed of 1 name.